Well, these were delicious. We ate almost all of them last night after dinner. David and I had them while sipping some rum, which was a great idea. He drank the bottle of rum that our friend Windy gifted me right before I became pregnant with Stella almost eight years ago, so he's forever owing me more rum. 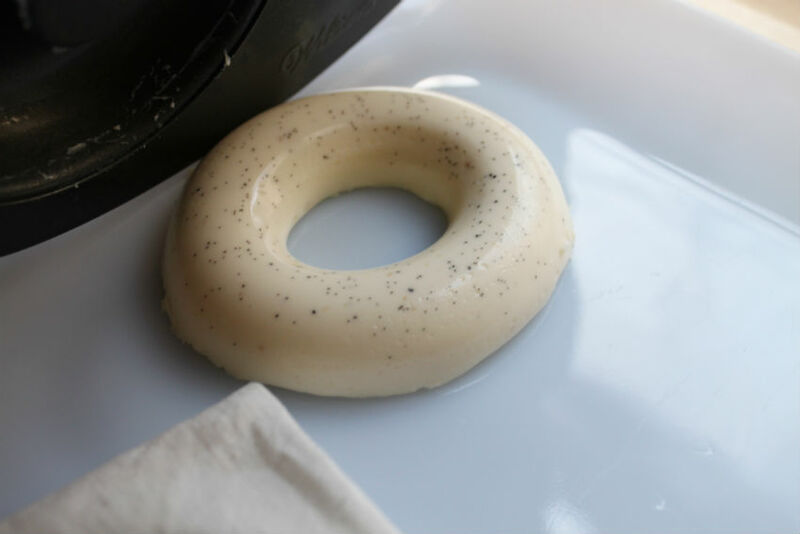 Panna cotta in a donut pan. 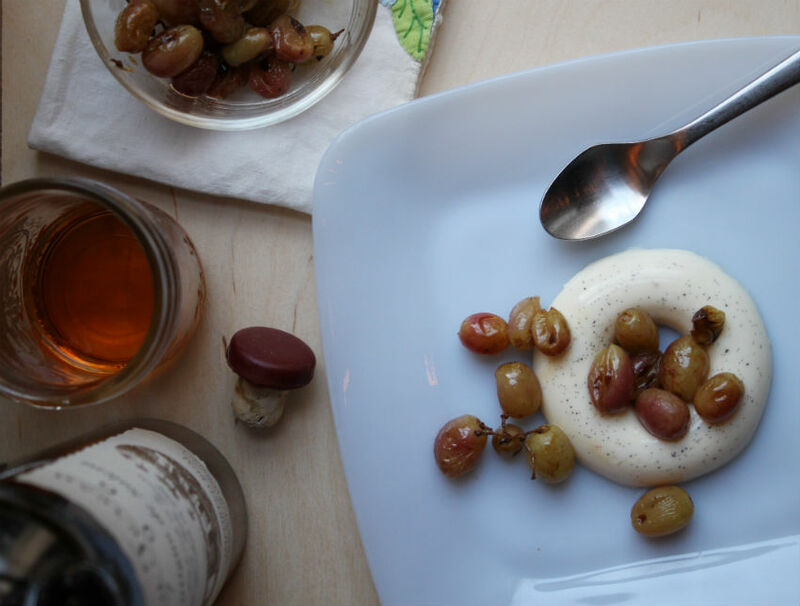 Simple, and the hole in the donut gives you somewhere to put, say, your roasted grapes. Or maybe a little rum-based sauce, or some other fresh fruit. You can certainly eat them alone, but they go down too fast that way. 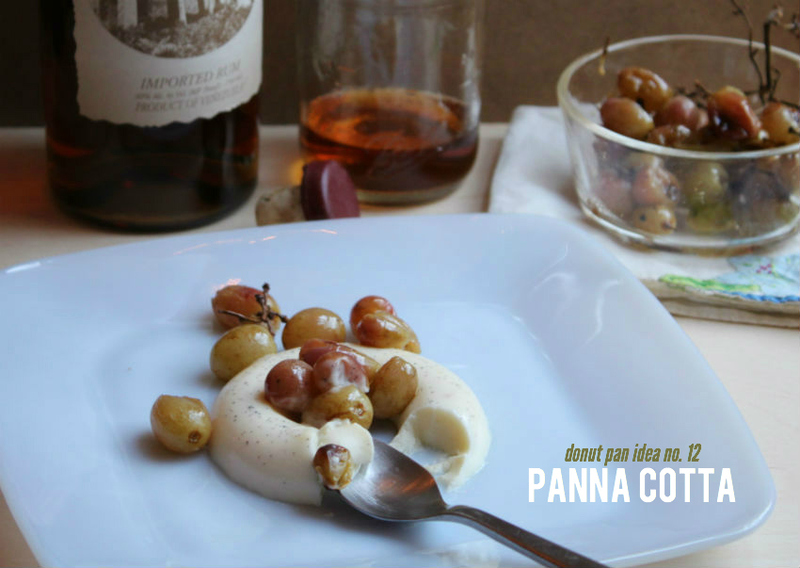 I researched panna cotta recipes before adapting THIS recipe from Martha Stewart. I bumped up the amount of gelatin after a failed attempt ended with a wibbly mess the first time around. I really should start a blooper reel here. The deeper I get into this donut pan project, the more foreign the recipes/directions are to me, and I'm making a lot of donuts twice to get them perfect. Feel free to use whatever panna cotta recipe you'd like. 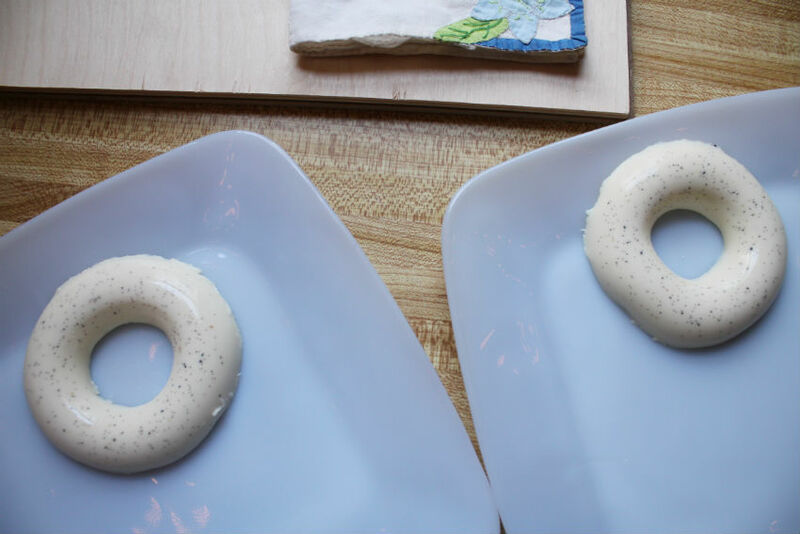 For the recipe linked above, which makes eight donut-shaped desserts, you'll need 3/4 c. plus 2 tbsp. 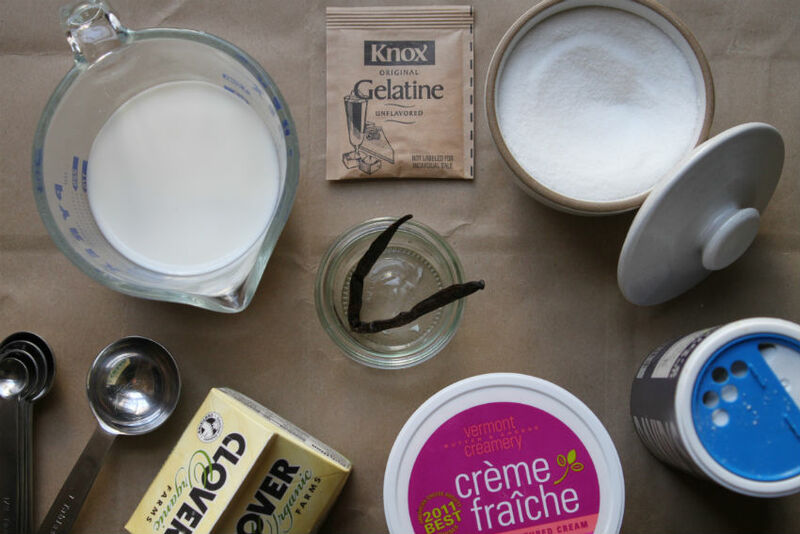 whole milk, 1/2 c. heavy cream, 1/3 c. sugar, 1/2 vanilla bean (split lengthwise, seeds scraped and pod reserved), 1 large pinch salt, 1 3/4 tsp. powdered gelatin and 2/3 cup creme fraiche. 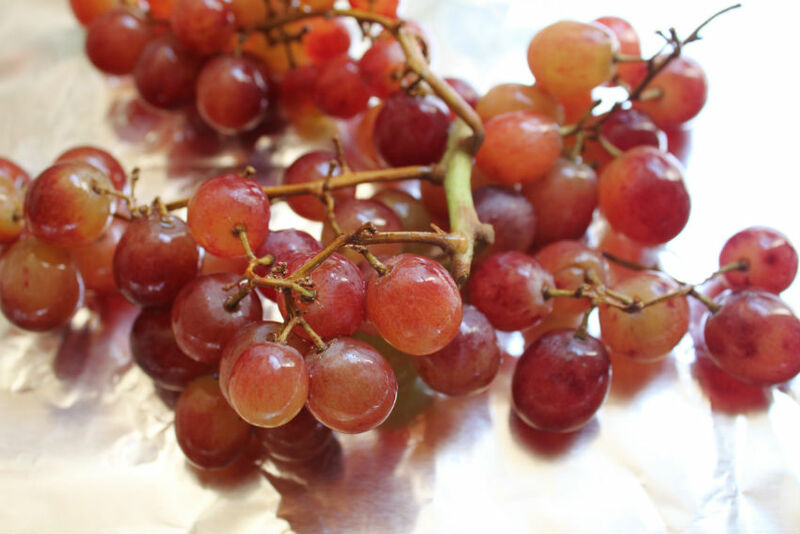 If you choose to top with roasted grapes (another Martha Stewart recipe, from the September 2012 issue of Martha Stewart Living) you'll need.....grapes! 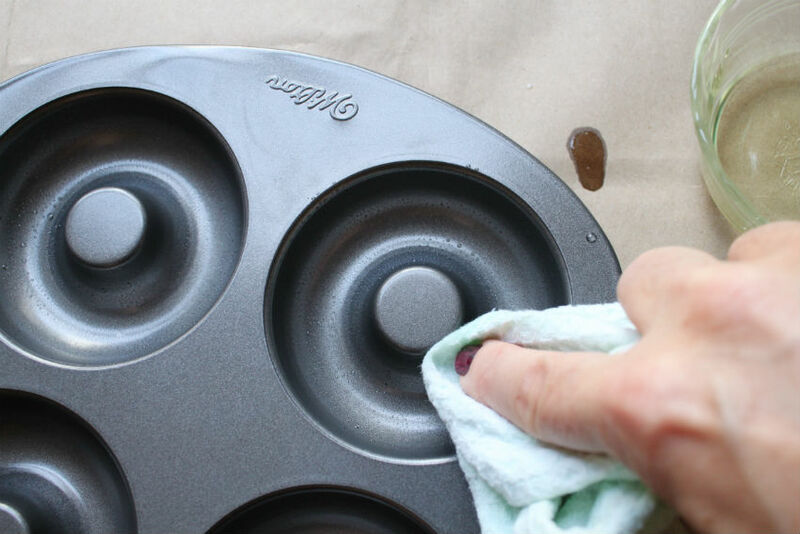 Also, two donut pans, canola oil for greasing the pans, and a squeeze bottle if you've got one, to make filling the pans easier. These need to sit in the refrigerator to set for at least three hours, but I recommend keeping them in there for about six. With the amount of gelatin I used in these, there is a good chance if you left them overnight they'd get a little rubbery. I'd make them the same day I was going to serve them, unless you really know your way around panna cotta! 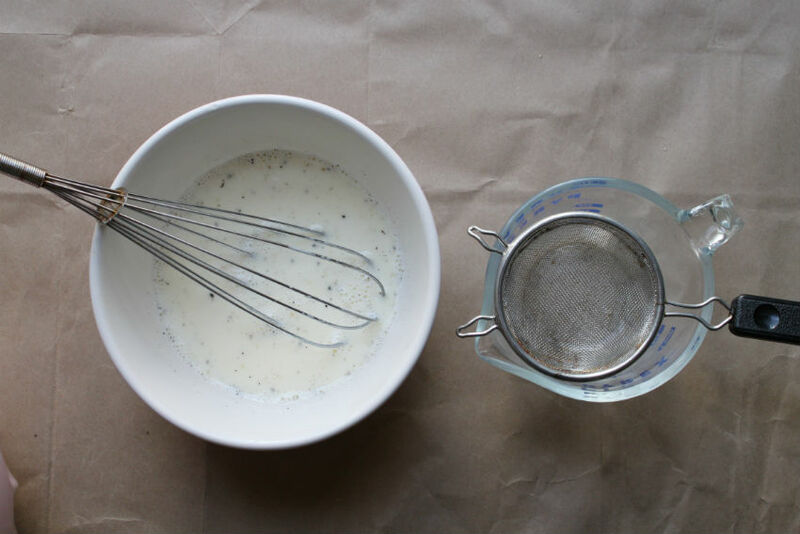 Scrape your vanilla bean. I can't believe I've never done that before! There are tons of seeds in a half a pod. 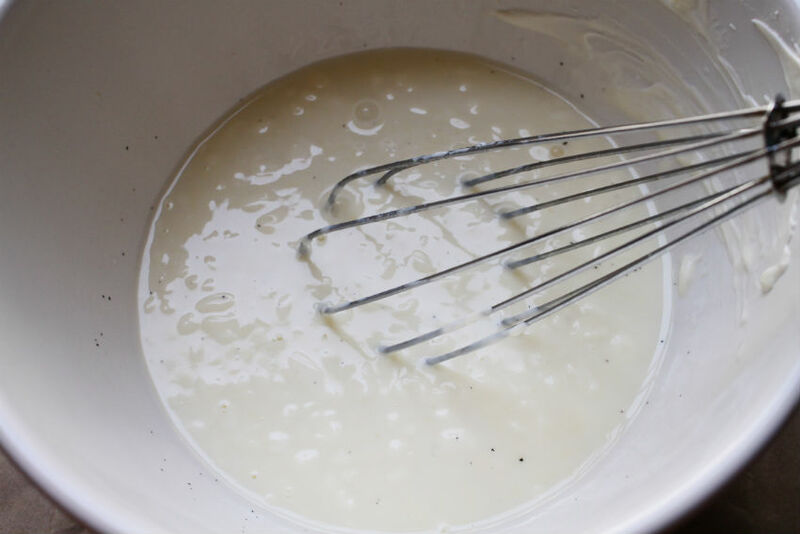 In a small saucepan over high heat, combine the cream, sugar, vanilla bean seeds and pod, salt and 3/4 c. of the milk and bring to a boil. Remove from heat and let steep for ten minutes. This shot doesn't do the seeds justice. 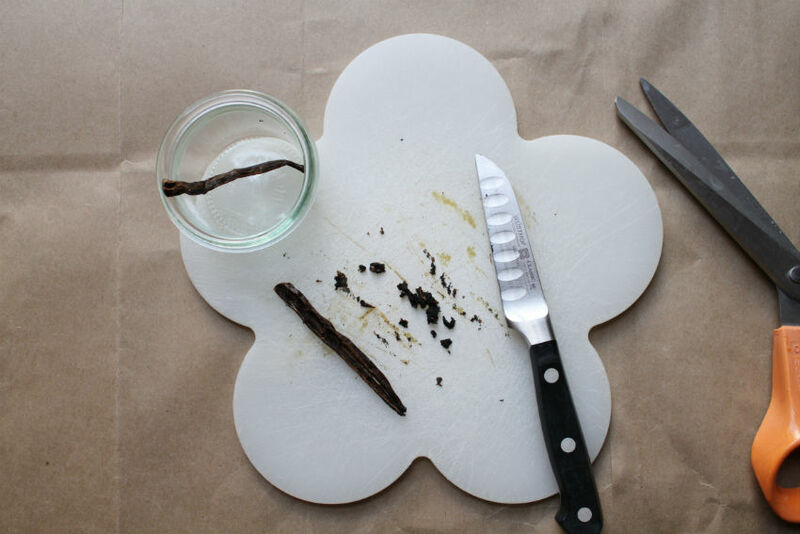 While the vanilla pod and seeds are steeping, soften the 1 3/4 tsp. gelatin by sprinkling over the remaining two tbsp. 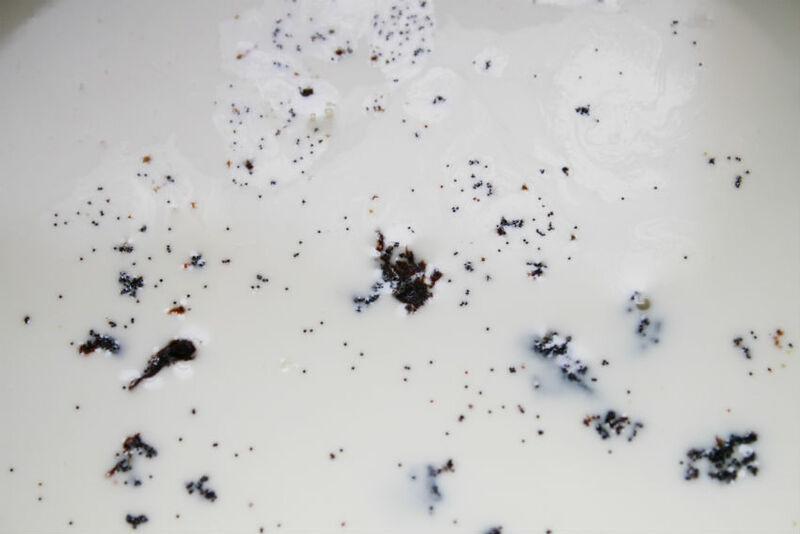 milk in a medium bowl. Let sit five minutes. 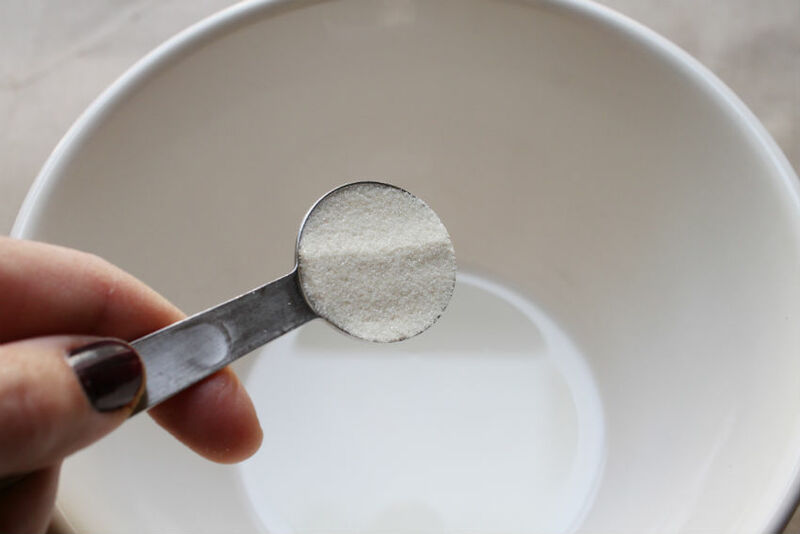 Bring the milk and cream mixture back up to a full boil, then whisk a little into the gelatin until the gelatin is completely dissolved. Whisk the rest of the hot mixture in and then strain out the pod and bigger chunks of seeds through a fine sieve. Not enough hands to photograph the straining of hot liquid! 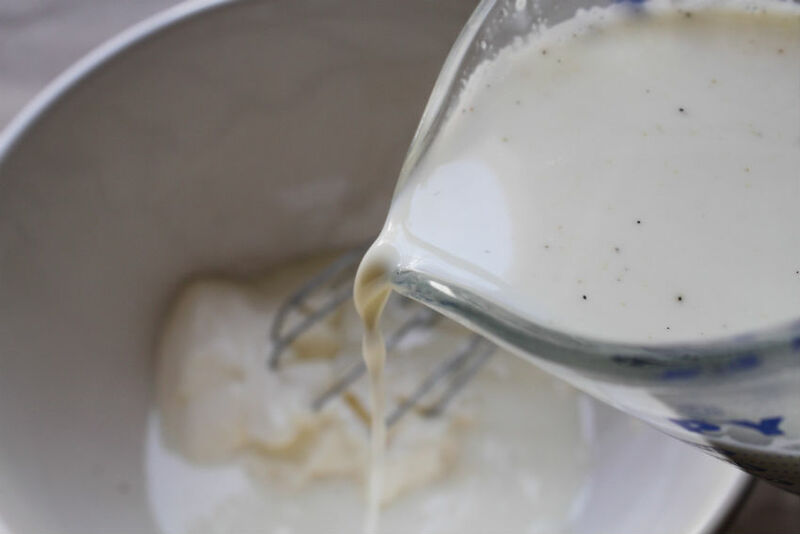 In another medium bowl, measure in the creme fraiche first, then slowly whisk the warm mixture into the creme fraiche until all is completely smooth. Let sit, whisking occasionally, for the next half hour. Use that time to clean up your kitchen and oil your donut pans! 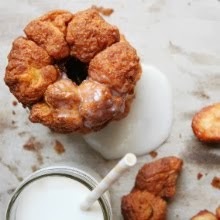 The connecting thread throughout all the donut projects: the greasing shot. 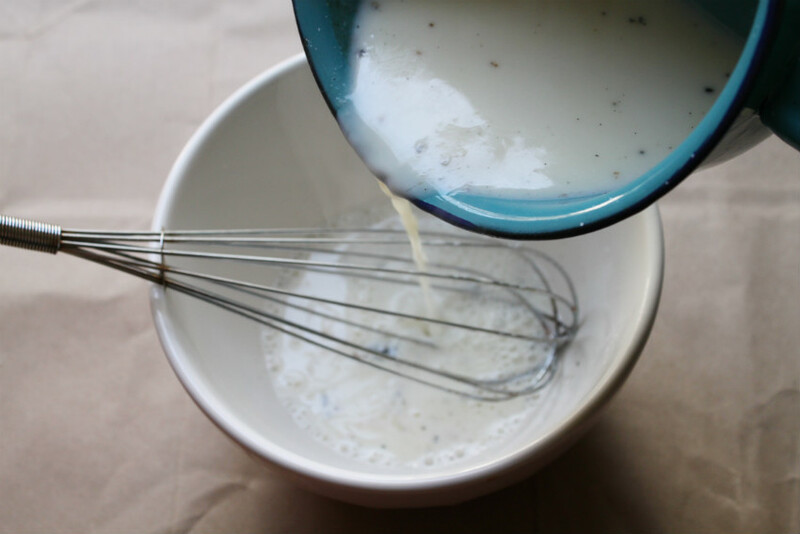 After a half hour has passed, whisk the mixture one more time and funnel into a squeeze bottle. It is possible to fill the pans without a squeeze bottle, but the bottle made it less messy and more fun. 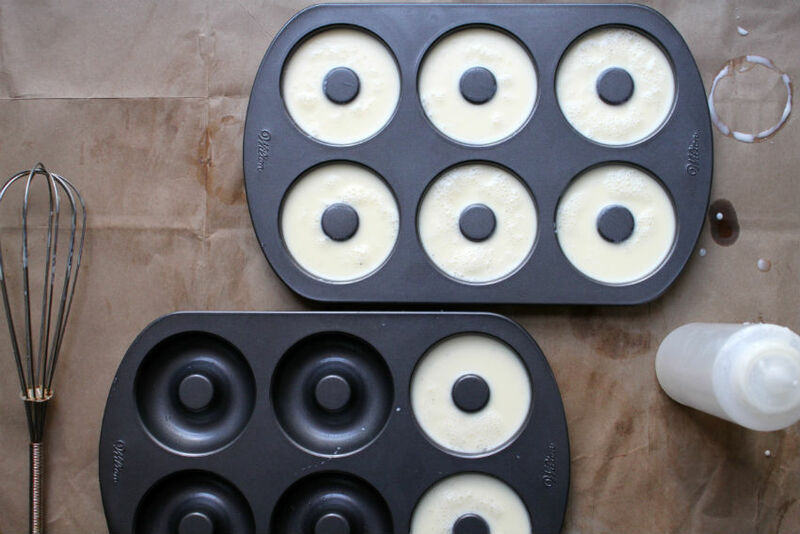 Fill each of the eight oiled donut pan cavities equally with the cream mixture. Refrigerate at the very minimum three, at the maximum six to seven hours. 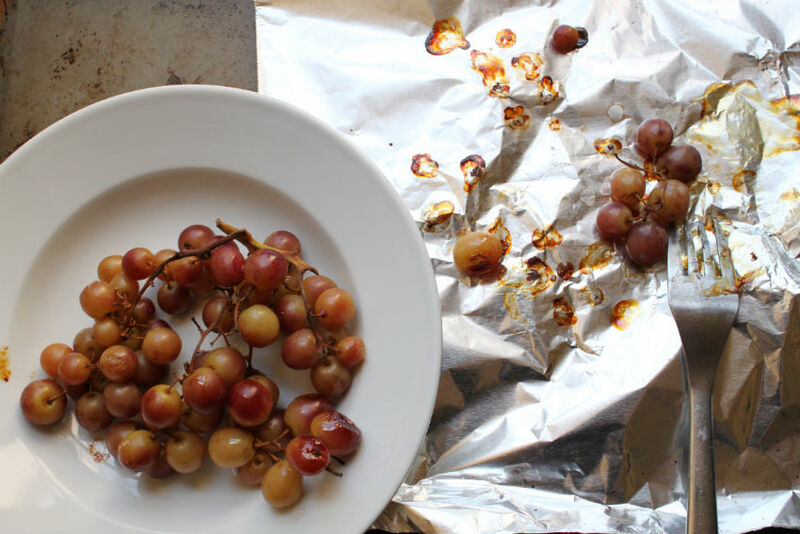 For the roasted grapes (again, Martha Stewart's great idea, not mine), just set grapes on some foil or parchment paper and roast at 425º for about twelve minutes, until they start to pop and release some juice. Let cool. I made the panna cotta just firm enough that you can dislodge one at a time from the pans and the others won't flop around while you're doing it. 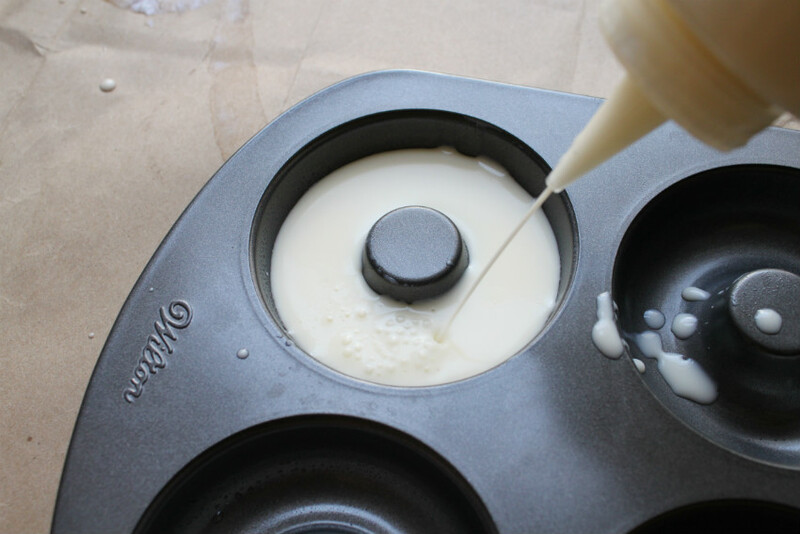 You can always give the back of the pan a (quick) dip in a warm water bath to help unmold the panna cotta, but I didn't find that was necessary. Take a knife and gently press around the edge of one panna cotta ring to break the seal. Then, turn the pan over your individual-sized serving dish, taking care to position the pan so the panna cotta will land exactly where you want it on the dish. There is no going back once it falls on the plate, you can't slide it around afterwards! 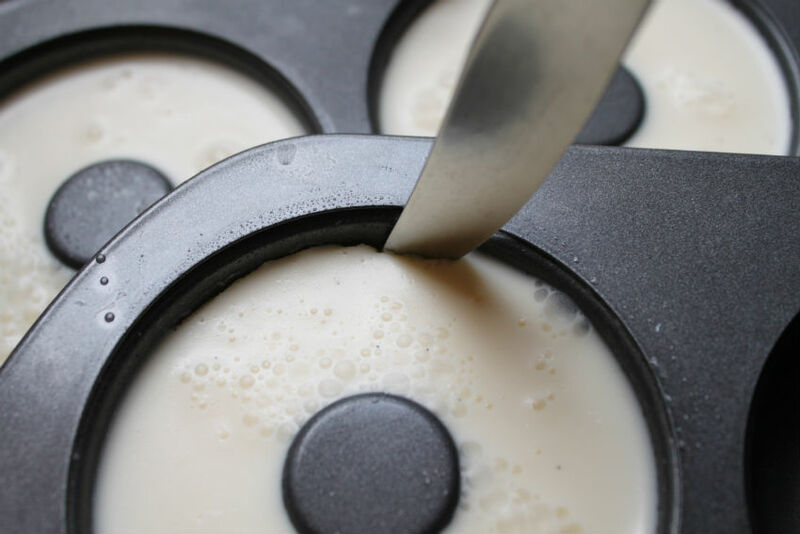 Press and pull on the top surface of the panna cotta until one edge starts to come out of the pan, and the rest should follow quickly. Repeat for each ring of panna cotta. 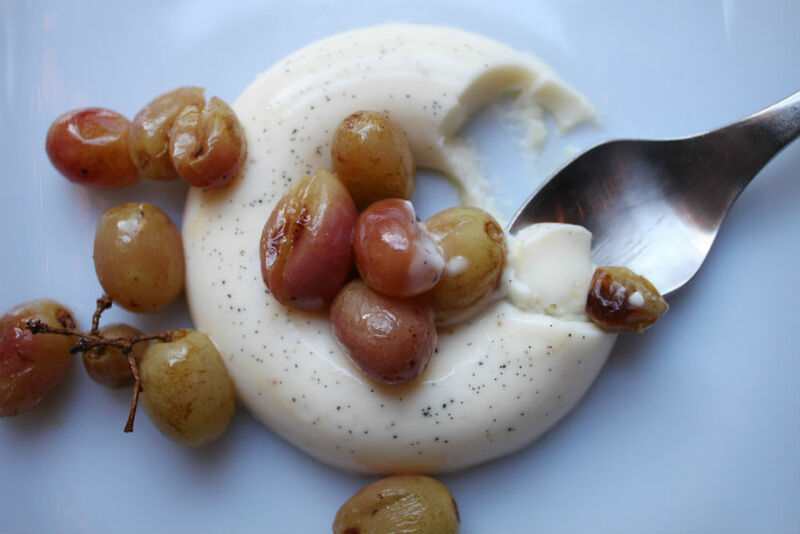 Fill centers with toppings (grapes or the like), and serve! These two didn't end up on their plates as perfectly as I would've liked. The third time was the charm. 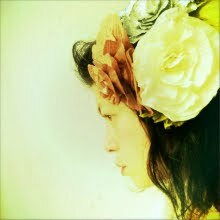 More or less dead center. 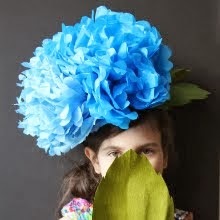 Also good with a cup of tea, by the way!